Liam Foster tussles for possession during Little Common's 4-1 win at home to Oakwood last weekend. The footballers of Bexhill United and Little Common will be in FA Vase action today (Saturday). Common will play their first ever home game in the prestigious national knockout competition against Erith Town. Kick-off at the Recreaton Ground is 3pm. Bexhill were drawn at home to Holmesdale, but the match has been switched to their opponents’ ground in Bromley as The Polegrove is still in the hands of Bexhill Cricket Club. The tie will be played to a finish today. Common play a level below their opponents, but they are the leading scorers in Macron Store Southern Combination Football League Division One and Erith are bottom of the Southern Counties East League Premier Division. “It’s a difficult game because we’re playing a team we don’t know anything about and they’re from the league above, but towards the bottom,” said Common player-manager Russell Eldridge. “We’re going into the game fancying our chances, like we do any other game, and being at home we’ve got to use that to our advantage. Defensive duo Anthony Cooper and Dan Cruikshank are rated 50-50 having missed the midweek win over Steyning Town through injury, and Cam Burgon is back from holiday. Bexhill’s game looks a tight one on paper. 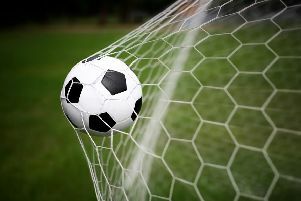 Bexhill have picked up 10 points from six games in Southern Combination League Division One, while Holmesdale have taken 14 from seven in Southern Counties East League Division One. Connor Robertson is on holiday, but Bexhill were this week in the process of completing the transfer of wide player Matthew Cunnington from Eastbourne Town. The Pirates, who have failed to score in their last two matches, have also issued a seven-day approach for an un-named forward.